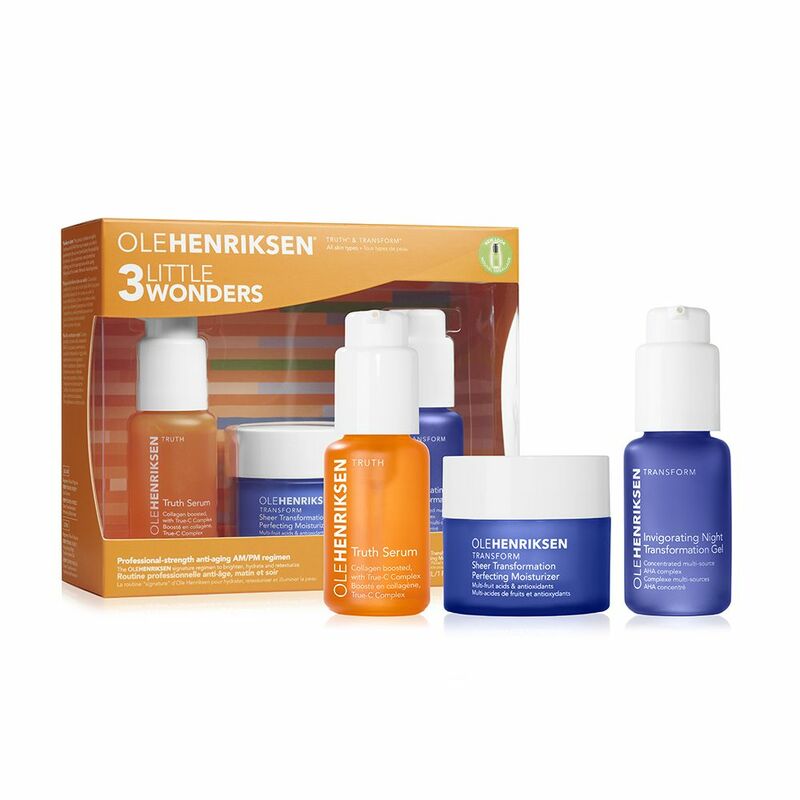 The 3 Little Wonders set targets to hydrate your skin in one easy routine. Truth Serum is OleHenriksen's no. 1 age-defying serum, formulated with vitamin C and collagen. It helps brighten and firm skin as it delivers all-day hydration. Sheer Transformation Perfecting Moisturizer is a whipped silky moisturizer that gently refines uneven skin tone and texture. It contains multi-fruit acids and antioxidants, delivers weightless hydration and luminous perfection, and is the perfect makeup prep step. Invigorating Night Transformation™ Gel redefines beauty sleep. This retexturizing gel smoothes smoothes skin with a concentrated multi-source AHA complex. Transform your skin in 7 days for a radiant and youthful-looking Ole Glow™!